From the bestselling author of MY HEART AND OTHER BLACK HOLES, this is a beautiful and heartwarming novel of music, family, and friendship. First Thoughts... This is definitely new territory for me. My first review with a sparkly new blog design! 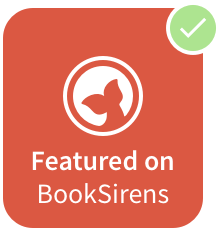 I am so honored that Jasmine's was the first to be featured with the new outlook on Pretty Little Memoirs' future as a YA Blog. I own Jasmine's previous book, My Heart and Other Black Holes, but haven't read it just yet. I've heard amazing things, but because I bought it myself and it didn't go straight into my ARC pile, it got lost somewhere along the way. So when the lovely people at Hodder sent me Here We Are Now, I was over the moon. My Review... I had major cover crush while reading this. It's lively and modern and So. Freaking. Cute. So that was enough to pick it up the other day and read a couple chapters before going to sleep. A few chapters turned to reaching the middle of the book, the realization, and the happy shrug to delve back in anyway. The night became darker but the storyworld Jasmine had created only grew brighter. For Taliah, meeting Julian Oliver sounded like a dream. Well, it was a dream. He's a famous rock star, so why would she ever think meeting him would be imaginable? Even though she's been told her Dad is dead, something inside her can't help wondering if maybe it was Julian. With her Mother away out of the country, Taliah's world is shook-up when Julian shows up on her doorstep. After all, he is her father. Despite her not knowing where she belongs in his world - or life - Taliah goes with him to say goodbye to her dying Grandfather. The tangled feelings around this are muddled for Taliah. She's not sure how to feel about a Grandfather - and father - she never knew existed. There's a lot that she has to go through and figure out for herself, reading in between the lines of the past and to Julian. There is a romance element (slight instalove, but it didn't take away from the real meaning of the story) and although that wasn't a huge part I liked, it did show another side to Taliah, away from the chaos of her newfound life. Overall, I thought that Here We Are Now was one of those books that I would tell my friends, "Hey, this is a great book. You should read it". I find myself telling this to friends of mine on a regular basis, so it's a high regard to have if it's one of them (and I don't say it about a lot of them!). The true message of the book wasn't about Taliah's love life or drama, but one about family. And I think that's a pretty amazing thing to read about. Also, can I just say, major plus points for a YA book including diverse characters in this book?! Definite applause (and about time it wasn't so rare in mainstream YA). I am so glad to have read this. 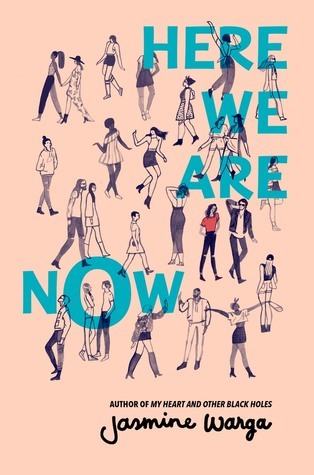 Have you read Here We Are Now? I absolutly loved this book and had just as much of a cover crush over it as you did!!! !